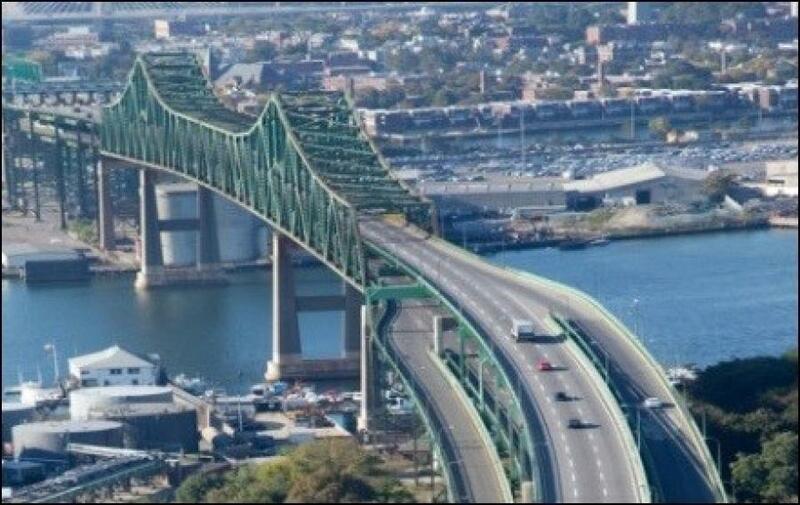 The Massachusetts Department of Transportation announced that traffic disruptions including lane closures which began April 22 and continue during several construction seasons through 2020 as it makes repairs to the aging Tobin Bridge that carries U.S. 1 over the Mystic River between Boston's Charlestown neighborhood and Chelsea. “Members of the public should make informed decisions on route, timing and mode of travel during this time,” MassDOT said. “We encourage people throughout the greater Boston area to recognize the upcoming traffic impacts on the Tobin Bridge and make smart choices if they will be traveling along the Route 1 corridor or throughout the region,” said MassDOT Highway Administrator Jonathan Gulliver. The $41.6 million maintenance project on a 1950 structure involves repairing a section of the bridge deck. “Work is scheduled to be completed at the end of 2020 with lane closures and traffic impacts occurring during each of the 2018, 2019 and 2020 construction seasons,” MassDOT said. The two-level, cantilever truss bridge has three travel lanes on each level with northbound traffic on the lower level while southbound vehicles move overhead. The work will include steel repairs to the upper and lower decks, concrete work on the lower deck, followed by waterproofing, resurfacing and installing pavement markings. It also will include utility installation, curbing, paving and building a new parking lot under the bridge. MassDOT said that “to allow crews and contractors to safely and effectively conduct operations,” one lane on the lower deck (Route 1 northbound) was closed at all times beginning April 22, and lasting through November. Off-peak lane closures will be implemented on the upper deck (Route 1 southbound) as operations require, also beginning April 22.